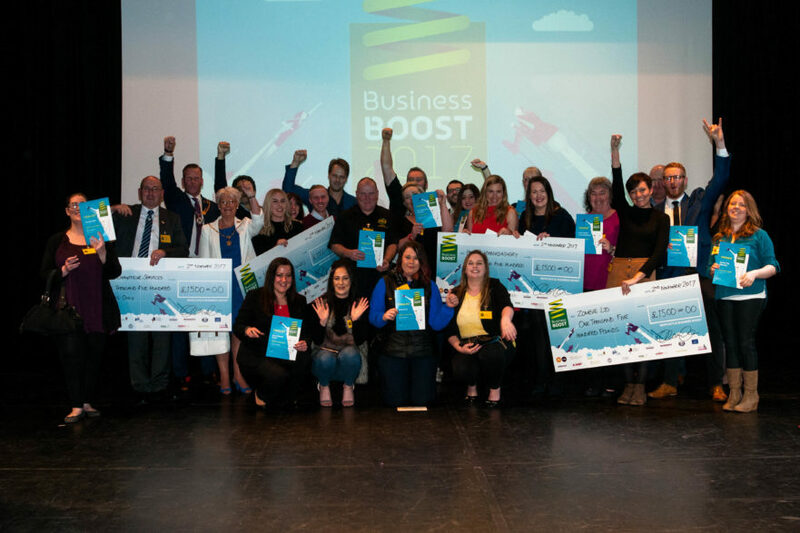 Business growth and potential were under the spotlight as the Newcastle-under-Lyme Business Boost competition unveiled its 2017 winners. A diverse range of finalists took to the stage for the awards event held at Newcastle-under-Lyme College’s Performing Arts Centre. An expanding chauffeur service, a haberdashery and an online store dedicated to the craze for Zombie themed products were among the main winners in a competition which showcases business potential. CPH Chauffeur Services took first place in the Going for Growth category. Specialising in providing chauffeur driven luxury cars for business, corporate events and leisure, CPH is based in Arnold Grove, Newcastle. Hollies Haberdashery were crowned winners in the Innovation category. The busy store, located in the Barracks, Newcastle, is determined to explore new markets and demonstrated innovation with a move into “how to” videos and online workshops. The Entrepreneurial Spirit prize winner was Zombie Ltd. The only Zombie sales platform to use live “Zombie” models, Zombie Ltd., of Liverpool Road, Newcastle, is dedicated to the production of “damned fine merch” and have developed a worldwide following. The fourth major award of the evening was dedicated to members of the Newcastle-under-Lyme Business Improvement District (BID) which promotes town centre regeneration and growth. First place went to Hounds, a popular town centre store for dog lovers and their pets which brings customers into Newcastle from a wide area. Each winner received a cash prize to spend on business development and there was a range of further awards on offer. These included the Philip Astley Award, dedicated to unique and unusual business ideas, which was won by Guinea Pig Wheekly UK. Founded by talented illustrator Katie Leonard, the online store is a celebration of the cute pets, producing merchandise such as colouring books, stickers, mugs and stationery. Other winners were Balterley Transport and Training, who scooped a year’s free membership of Staffordshire Chambers of Commerce, and Swan Health and Rehabilitation, who will benefit from a free of charge stand at the 2018 Let’s Do Business exhibition, held by Staffordshire Chambers of Commerce. And two part-funded apprentice prizes, sponsored by the Realise Foundation and PM Training, were awarded to Hollies Haberdashery and Swan Health and Rehabilitation. CPH Chauffeur Services were also granted a year’s membership of the Staffordshire BforB referral marketing network. 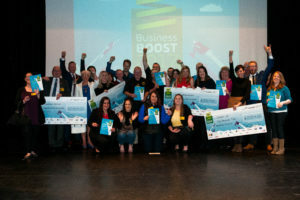 Business Boost is run by the Newcastle-under-Lyme business community. A steering committee plan the annual competition and raise sponsorship to fund the prize pool. Its unique selling point is its concentration on business potential, with entries being judged on what they can achieve rather than on past glories. Entrants are given support to develop business plans and encouraged in their efforts to create jobs and growth in the borough of Newcastle-under-Lyme.